29¼ in. (74.5 cm.) high; 25¼ in. (64 cm.) diam. 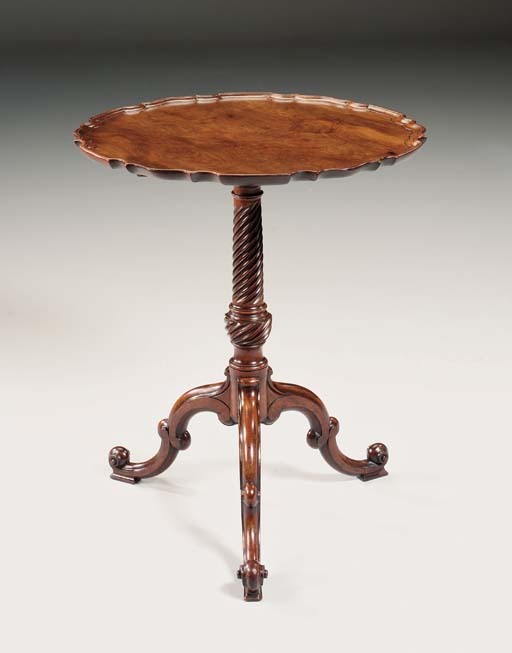 A tripod table with very similar double-scroll legs and also from Norman Adams, was sold anonymously, Sotheby's New York, 22 April 1995, lot 83.